A prescription medication, Adderall is primarily used to treat attention deficit hyperactivity disorder, also known as ADHD. Sometimes it is also prescribed for people with depression or sleep disorders such as narcolepsy. 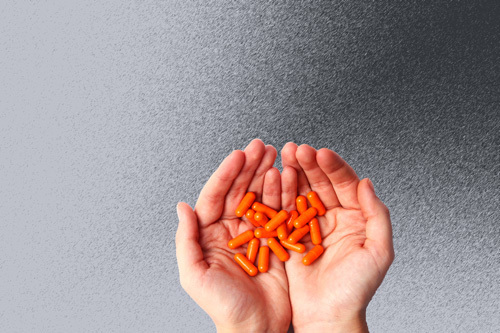 Regardless of the reason it is prescribed, Adderall should only be used under the close supervision of a doctor or other medical professional. A combination of dextroamphetamine and amphetamine, Adderall is classified as a central nervous system stimulant. When the drug is taken, it increases the activity of three of the chemicals in the brain: epinephrine (adrenaline), norepinephrine, and dopamine. This heightens and speeds up certain processes in the body causing hyper-stimulation throughout the nervous system and brain. This medication, like all stimulants, can be addictive. However, when Adderall is taken by a person that really needs it and they carefully follow the prescribed dosages, it does not cause addiction. Adderall has the chemical makeup similar to MDMA (ecstasy) and methamphetamine. Dopamine causes a rush to the pleasure and reward area of the brain. Epinephrine triggers the fight-or-flight response—causing the person to have increased alertness, focus, and clarity. Norepinephrine facilitates communication between neurons—making them last longer than they normally would. Since Adderall is a stimulant, it reduces the need for eating or sleeping and improves concentration and focus. It has become a popular “study drug” for some college students because it allows them to have an intense focus on their work. How Does Adderall Abuse Occur? Due to the addictive nature of stimulants, whether a person uses Adderall for recreational purposes to achieve a stimulant high or as a study drug, they can quickly move to drug abuse and then drug addiction. If a person’s recreational use of Adderall has become abuse, they often experience behavioral, physical, and psychological symptoms. The most severe side effects of Adderall abuse and addiction are dangerous and life threatening. Misusing this drug can cause a person to experience chronic exhaustion, muscle deterioration, and cardiovascular damage. The consequences for abusing stimulants can have disastrous results for the user—resulting in abnormalities of the cardiovascular system and sudden death. Adderall, along with cocaine, heroin, and methamphetamine, is on the Drug Enforcement Administration’s Schedule II List of substances. This classifies it as a drug that has the ability to lead to physical and psychological dependence, with a high potential for abuse. Adderall is the brand name of the prescription medication, but it also is known by many street names such as Uppers, Pep Pill, Addys, Black Beauties, Speed, Beans, Dexies, and Zing. Like other drugs, the user builds up a tolerance to Adderall and needs more to reach the stimulant high they want to achieve. Adderall can be injected or snorted so the user feels the effects of the drug within minutes. However, this increases the danger of the drug because the built-in safety feature of the extended release pill is bypassed. The risk of an overdose is greater because the full dose of the drug is felt instantaneously. If a person stops using Adderall, they experience withdrawal and may have nightmares, panic, mania, or suicidal thoughts. An overdose of Adderall can result in convulsions, coma, and fatal poisoning. Mixing Adderall with alcohol can lead to alcohol poisoning, coma, or death. Anyone regardless of age, can develop an Adderall abuse or addiction problem. If you or someone you love is addicted to Adderall or any other drug, there is help available. Canyon Vista offers a full continuum of care that includes traditional and holistic therapies, nutritional guidance, life skills, and an extended care program. Learn more about programs offered at Canyon Vista Recovery Center, Arizona drug treatment centers. National Institute of Drug Abuse – What are Prescription Stimulants? Child Mind Institute – Do ADHD Drugs Lead to Addiction? Attitude Inside the ADHD Mind – Does Stimulant Medication Cause Addiction?